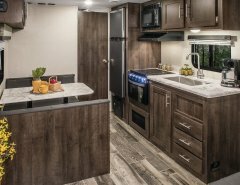 See our entire 2017 line-up up close and in person at the Hershey RV Show in Pennsylvania USA with Don from the Leisure Travel Vans team and Fretz RV from September 14 – 18th, 2016. We’ll be on location at site # E-9. Show hours are 9:00am – 5:00pm. 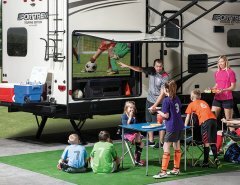 See the Unity TB, Unity IB & Unity MB (Confirm with Dealer) at the Great American RV Show in Colorado Springs, Colorado, USA from September 29th – October 1st, 2016 with Intermountain Coach. 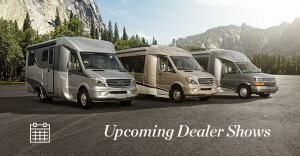 This was received as a part of a marketing email from Leisure Travel Vans. 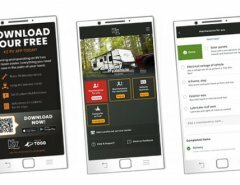 Previous Article Can You Make Money On The Road While RVing? Next Article Will Your Next Best Friend Be A Robot? How About Your RV Companion?